This follows my recent post about how a new TV interface from Apple could decimate the television landscape. Even though Steve Jobs never talked about changing the face of search with Siri, its natural language interface. In this fictional script, that rival would be Eric Schmidt, one of the top executives at search giant Google. It’s Google, after all, that’s breathing down Apple’s neck with its rapidly expanding Android phone platform – a platform that, according to Jobs and his lawyers, mimics Apple’s breakthrough iPhone technology. Putting this Oscar dream aside, there’s intensifying competition heating up between Apple and Google, even though Jobs is –sadly – no longer on the scene. 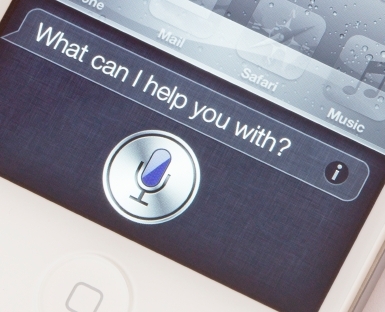 Indeed, even though Google has had voice-enabled search for some time on iOS and Android devices, Schmidt has said it’s possible that Siri could be a real and radical game-changer. Schmidt may be right. And if he is, then Google will be facing a serious threat as Apple reinvents Google’s home turf of search. With a “personality” that displays a unique understanding of humanity, Siri’s digital chromosomes enrich the user’s experience. This sets it apart from Google’s more mechanical offerings, and shows why Apple’s consumer-obsessed culture is so different from Google’s corporate DNA, which is as robotic and algorithmic as the “Android” name suggests. There is rich irony here, as Apple disintermediates the greatest disintermediator of all time. When Google’s superior search service started, it practically single-handedly reduced the brand-driven experience that consumers had thereto relied on with directories and a fully editorialized Web. Google replaced those channels and home pages with 10 blue links. And in the process, became users’ destination of first resort 13 times per day. And Apple has always been a curator extraordinaire – developing collections and exercising famous (and occasionally notorious) judgment to determine who deserves to be in its directories of songs and apps. But now, Siri stands ready to flatten the world of entertainment. In all fairness, Page and his team are now trying hard to enrich the user experience by aligning their YouTube brand with media companies like Disney, and doling out big dollars for proprietary programming. The hope here is that YouTube can create dozens of lucrative user-friendly / user-favorite Web channels featuring comedians, sports stars, musicians and other entertainers. The company is building stocks of its ‘own’ media weapons in preparation for the coming war. But, as always, it will be hard for Google to win the hearts of consumers when it comes to content; and it will be especially daunting because Apple is already so completely connected to users. Meanwhile, with its enviable consumer connection, Apple will undoubtedly extract a toll from media companies, who still want to bathe in the warm digital light that emanates from the inviting and engaging brand Jobs built. And, as it has in every other media category, Apple stands to capture an outsize share of profits for delivering content into a magical consumer experience. This article was published as a guest post at All Things D, and is republished here for DigitalQuarters readers. Steve Jobs died without fully transforming television, but the day after he passed away, Apple unveiled Siri, its natural language interface. Though it’s currently only embedded in the new iPhone 4S, Siri could eventually change the face of the TV industry. But from my perspective, Siri’s greatest impact won’t ultimately be on users, or on device manufacturers (though they certainly risk losing market share to Apple). It will be on the TV industry’s content creators and packagers. Why? Because a voice-controlled television interface will fundamentally disrupt the six-decade-old legacy structure of networks, channels and programs. And that’s a legacy that — until now, at least — has been carried forward from analog to digital.Most observers and analysts believe that Siri’s voice commands could eliminate the need for those clunky TV remote controls. With the blurring and exponential proliferation of television and Web content, telling your TV what you’d like to watch, instead of scrolling through a nearly infinite number of program possibilities, makes a lot more sense. There’s an important underlying precedent here. If the Internet can be generalized to have one effect across every industry that moves online, that effect would be disaggregation. Choices go from finite to infinite. Navigation goes from sequential to random access. And audiences choose content by the item far more than by the collection. We’ve gone from the packaged and channelized to the unbound and itemized. Autonomous albums are fragmented into songs; series into clips; and magazines and newspapers into articles and individual photos. As much as we may think that has already happened with video, it is nothing compared to the great leveling that will occur in the voice-controlled living room. Voice-controlled TV means direct navigation to individual episodes, programs and clips. And it will almost certainly lead to a discernible deconstruction of the network and channel structure — not to mention the decomposition of even the aggregated marketplaces like Netflix, Hulu and YouTube. Here’s the simple reason: No one is going to sit on their couch and say, “Siri, show me NBC’s ‘Community.’” In a voice-activated world, monikers like “NBC” become useless. They don’t stand for anything meaningful to the consumer. They’re just remnants of a decrepit channel structure that’s unraveling. And, in the end, they’ll simply connote the fast-fading allure of mid-20th century mass appeal. To be sure, the TV majors will lose much of their ability to realize network effects. Already, you’re hearing less about “lead in” and “lead out.” What you are hearing more about, however, is disconnected videos. A program on YouTube, for instance, will sit on a level voice-controlled playing field with an NBC show, and that field will soon become even more level, because Siri will eliminate the menus that structure the artificial hierarchies of content collections. Personal — We’ve already seen the extraordinary value of well-tuned personalized recommendations, with Netflix’s notable prize and other famed stories of the benefits of great recommendations. Increasingly, our own patterns of individual videos and the brands we affiliate with, along with recommendations from friends, will be combined into personalized recommendations we won’t even have to ask for. I have no doubt that Siri will be as good a “Genius” as iTunes is at recommending what else to watch. Ultimately, in the age of data, whoever knows the most about us will be able to give us the best experience. Beyond disaggregation, personalization is ultimately the most powerful consumer value of digital media. My mother’s TV experience was to walk over to her TV set and turn a dial to select among three channels to satisfy her individuality. But in the next generation, no two people will receive the same recommendations from the millions of content choices available. Before he died, Jobs now famously told Walter Isaacson, his biographer, that he had finally cracked the TV code. It’s unclear what Jobs meant, what this entailed or what he thought it would lead to in the years to come. So, barring further posthumous disclosure, Jobs’s own predictions of his ripple effects will be a media mystery for now. One thing that’s clear, though, is that Jobs’s Siri will start the dismantling — or creative destruction — of the TV industry as we’ve known it for the last 60 years. This post was originally as a contributed piece to Fortune. It is republished here for Digital Quarters readers. Tech’s top firms — from Apple and Google to Amazon and Netflix — are vying to reshape media with different game plans. Here’s what they each need to know. Digital media has the power to change the world. Actually mastering this 21st century business (and art) is unbelievably hard, however. That begs the question: The top media companies all know they need to make changes — but how do they find the right change and execute well? Let’s look at this question through the lens of six key players in the digital media revolution. Apple (AAPL): Transform the rest of our digital experience. It may seem arrogant to give advice to the one company that has surprised everyone again and again by being light years ahead of the industry — as well as the consumer. Yet, in a new era of leadership, the most important thing for Apple will be holding on to Jobs’ core values and strength. As corporate leaders go, Jobs was always the best change agent on the planet, and he was never willing to accept the status quo. That’s why Apple is a perennial leader when it comes to devices and distribution for premium media content like music and movies. The Apple crew must extend its golden touch to the rest of the digital media device world. It’s time to supply the living room with a first-class TV experience; and to seamlessly flow all entertainment between the mobile, iPad, TV, and desktop worlds. AirPlay, iCloud, and AppleTV aren’t all the way there yet. Apple’s next challenge is to make devices that leap forward and bring entertainment and applications wherever I am, and to know me as one person across all of these environments. To do so — and to do so well — will take a huge imagination. And, even without Jobs himself, it’s clear that if anyone can do it, it’s still Apple. Facebook: Be everywhere the consumer is. More than any other company on the Web — even Apple — Facebook has changed the nature of digital experiences. It’s already established itself as the dominant social operating system for consumer audiences. And yet it has the potential to go much, much farther. If you need more proof, just this month Facebook announced that it will be facilitating the spread of mobile applications, not to mention linking into them — finally bridging the gap between Web and app. It’s invading Apple iOS’ and Google Android’s territory, providing the cross-application linkages that have always unequivocally been the job of an operating system. Increasingly, Facebook has the opportunity to wire consumers, applications, data and devices together. But for Facebook to do this, Mark Zuckerberg will need the kind of imagination that Steve Jobs had. Indeed, Zuckerberg will have to imagine a whole new ecosystem, this time one where Facebook facilitates all connectivity. He’s proven he can execute already. But can he take on a vision this big? This trademark phrase from Wetpaint COO Rob Grady is particularly apt in Google’s case. Google is the undisputed king of finding answers to questions — as long as they’re being asked from desktop and laptop computers. But when it comes to applying its great search strength to mobile environments, tablet devices and communications, Google is still lost. While the Android operating system is clearly one of the winners, it doesn’t give Google the essential financial success in mobile that it has on the desktop. Google needs to reinvent itself. It needs to make a bold “burn-the-bridges” move, adopting a Reed Hastings-like philosophy that the company cannot rely on search alone. Only, in Google’s case, it’s even harder. Here’s why: Hastings had already clearly identified the next wave’s product at Netflix (NFLX) — streaming video over the Internet — but Google has to find a new vision altogether. This is not to say that Google needs to exit the search market by any means. But, instead, it must reinvent its own search portfolio, the way Intel (INTC) reinvented the microprocessor generation after generation, always allowing its newest chip to put the last one out of business, before the competition did. Indeed, Intel’s sustained success was built, in part, on destroying what worked and replacing it with something that worked even better. Google’s new vision should surely have three components: mobile, search and social. The good news is that, thanks to Android, Google already has A+ platforms to build on the first two. But search needs to get beyond the query box, and the mobile device can be more than a phone plus PDA. Google’s challenge — and its opportunity — is to reinvent it as a completely connected device that is woven into the fabric of daily living. It should know where I am, who I’m with, and what I’m doing — or at least have some educated guesses. It should make the next interface leap that helps us leave the thumbs behind. And, it should be a digital companion that picks up on environmental cues and helps me live my digital life. Siri has opened our imagination; but Google has amazing voice recognition, algorithmic and platform strength to accomplish these things. Now it sorely needs to understand people. That’s the most pressing — and most problematic — task for Larry Page and his team in 2012. Amazon (AMZN): Fully bridge digital media and commerce. If Facebook is the ultimate platform for social connectivity, it’s pretty clear that Amazon should be the ultimate platform for media and commerce. Amazon has already made amazing progress in redefining itself. It started as a bookseller, became a retailer, began representing other retailers and, most importantly, has morphed into a media and device company. And, as if that’s not enough, its Web Services power tons of other companies that make the Internet fascinating. That said, a scattershot approach won’t help Amazon become the single defining platform that bridges digital media and commerce. Amazon has tremendous assets in its catalogue, in terms of both physical and digital goods. And it also has devices that give it a unique channel to the consumer — for the time being, at least. But to fulfill its true potential, Amazon needs to extend its platform all the way to commercial transactions, wherever they happen. Beyond digital goods, Amazon should be working on digital currency and customer management; an acquisition of Square would be a tremendous accelerator here, and it would ultimately help Jeff Bezos and his team power transactions wherever in the world they take place. What Facebook is to our social transactions, Amazon should be to our commercial ones — an OS for commerce. Indeed, Amazon has the opportunity to provide OpenTable-like services, for all commerce, not just for the restaurant industry. It’s already got the goods and the customer relationships. <ow it just needs the focus on the bigger opportunity. Yahoo (YHOO): Decide what the brand really stands for. On one hand, Yahoo is the most impressive all-digital media company there is. It has tremendous access to a huge audience of consumers, a broad product portfolio, an unrivaled heritage as a first-generation superstar and a unique reach into Asia. And yet, it’s also the most disappointing digital media company in the marketplace, so much so that its brand increasingly stands for nothing in particular to most of its audience. Of late, attention has been focused on Yahoo from a financial point of view. But whoever eventually buys the company must look beyond integration, splitting and cost cutting. Instead, the acquirer will have to figure out what to do with Yahoo’s core. And it all comes down to one key question: What can Yahoo provide to its audience to earn their attention every day? To date, the hook has been email. Yahoo Mail is responsible for about 75% of Yahoo’s media traffic. But Yahoo Mail isn’t growing. In the last year, it shrank slightly (<1 %), according to data from comScore. So, for Yahoo, the choices are to innovate in communication to leapfrog Gmail, Skype, and the lot; or else to do the hard work and start figuring out again what Yahoo really stands for. The company has great roots. It has a natural brand for serendipitous discovery, for fun and interesting news to make your day. The bottom line is that Yahoo should be able to execute on both the options listed above, hopefully without waiting for the financial dust to settle. Washington Post (WPO): Re-inventing media’s most ravaged category. We will see other awesome and amazing talents emerge in digital media over the next decade. These greats-in-the-making will help build on the staggering changes that technological change has wrought. This article was published as a guest post on paidContent.org. Earlier this month, John Donahoe, CEO of eBay (NSDQ: EBAY) and its subsidiary Paypal, was interviewed at the D8 conference. It was a flashback to see him speak: I had worked under him 15 years ago when I was a freshly minted undergrad just hired into the San Francisco office he ran for Bain & Company. A strapping and charismatic up-and-comer, John was known for his bold visionary talks and his strident walk. But at D8, I didn’t see that confidence. He spoke of eBay’s connections between buyers and sellers as though he hoped we’d believe it was a new trend; meanwhile far from his Santa Clara headquarters, Gilt Groupe and Groupon are reinventing e-commerce. On Paypal, he looked backwards to the innovation of getting financial services online, rather than forward to the app revolution. Overall he looked staid, the way eBay and Paypal now look to me – entangled by their legacy, unable to cut the cords to freely enjoy the new boom around them. With that in mind, I’d like to offer Paypal the chance to get ahead in an area that still has room for wild success. Media desperately needs help to become financially viable – and consumers will need to foot part of the bill to make it so. It’s clear that others see the opportunity here: Facebook surely wants to spread its Facebook Credits currency to take over the world the way ‘Like’ has; and now word comes that Google (NSDQ: GOOG) is readying Newspass in its bid to capture consumer payments for media. But more than these other companies, Paypal, with its huge footprint of consumer accounts and years of web experience, is in the catbird seat to be media’s savior. With ad revenues going less far to foot the bill for published content, making media profitable will increasingly mean turning to consumers to pay for content and experiences. And consumers open their wallets in proportion to how badly they want it (desire); how well they know the other parties (relationship); and how little work it takes (ease). This is why there is such a strong future in bite-size media consumption: for all the talk about paywalls and subscriptions, it is far easier to get payments of a buck or two. Apple (NSDQ: AAPL) demonstrates the value of bite-size with hundreds of millions of dollars of revenues from apps alone, far exceeding any leading online publisher’s subscription programs. But while Apple is the king of creating platforms for desirable experience, its eminence is limited to its domain of devices, just as Facebook is confined to the social network. And publishers need to up the desire, relationship and ease for their whole online audience. Enter Paypal. Paypal works across the wide open web. With 219 million registered accounts and trust among users and merchants alike, Paypal has an outstanding position to work from. And so Paypal’s great opportunity is to enable quick consumer payments for media with fast, easy, lightweight universal payments. Media doesn’t rank highly in terms of the necessities on Mazlov’s pyramid. And so the essence of consumer-paid media is impulse, and the critical enabler of paid digital media is the “impulse click.” That click starts the brief moments/long window of consumer intent. For Paypal that means, it needs a button that completes the sale before the impulse fades – and needs to spread that button throughout media. If it delivers on that, Paypal can play as critical a role in the fast-growing digital media economy as it did in the person-to-person commerce revolution of Web 1.0. 1) Lighter authentication: For a $50 e-commerce transaction (from which the merchant earns just a few dollars of gross margin), a transfer to the Paypal website and fresh login and password entry may be called for, but that won’t do for a $0.99 purchase of media bits, where the lack of ease would be a deal-killer. Recognize the user automatically for most bite-size purchases, as Facebook does for sites using its new open graph technologies. For a transaction of less than a buck, and considering Paypal’s preeminent capability in fraud prevention, it should be able to manage risk to make this effective. 2) One-step confirmation: Apple has set the bar for how easy it is to transact: on my iPad, I tap the “buy” price and then supply my password. That’s all that’s needed or appropriate for this transaction. And no one has done this on the web at large. If Paypal does, it will lead the industry in ease – and help media publishers in the process. The current process usually requires three or more pages and requires not only login with password, but confirmation of accounts to fund the transaction with; backup funding options; and often classifying the transaction. The interface is slow and kludgy, vintage 1990s, while the web (and user’s expectations) have had massive upgrades since then. It’s time for an experience overhaul, Paypal! 3) Simple billing: Offer fewer options to make it simple. Instead of bank cards, credit cards and different guarantees, keep one default payment method on file and just bill to it without asking for anything less than $5. For impulse purchases, the consumer needs to complete the transaction before the impulse fades. 4) Use the phone: For universal payments and quick setup, bank and credit cards are too cumbersome. But consumers young and old with good credit and poor alike have one thing in common: mobile phones. Paypal should acquire Zong, which would contribute an instant way to bill cellphones with minimal hassle that smart sites like Facebook are already taking advantage of. With this simplified experience, Paypal then is ready to offer its payment system on every device possible. As consumers are increasingly consuming content from their mobile phones, Paypal needs to be where the consumer is – available to apps on every platform possible. 5) Offer attractive revenue share: Platforms like Apple’s require that publishers give up 30% of revenues or more; Paypal’s heritage in banking and payment processing comes at it from a much lower pricing level of 5% plus $0.05 per transaction. For its bite-size payment system, Paypal should get adoption from every major publisher by holding to this structure for its most profitable transactions, and taking no more than 15% of other transactions; while using its massive scale to negotiate fees with credit/debit and cellphone providers on the back end. By competing on price to win adoption by publishers, Paypal will be expand its footprint to get more cost leverage. If Paypal does these five things, it can supply a payment system that is so good that it will enable digital-media companies to charge and collect frequently for premium experiences and content. For Paypal, this will enhance its offering and help it win a huge share of the emerging paid digital media category. But more importantly, this will hasten our progress toward a profitable future for the digital-media industry. And I think that sort of change-the-world accomplishment is exactly what is missing to get John Donahoe as charged up again as I remember him. It’s been a week of dancing for Apple and The New York Times as they played hokey pokey with an app that offers a new, fun way for consumers to experience media: First, Steve Jobs put the acclaimed Pulse News app into his Worldwide Developers Conference talk, then took it out of the app store, and then put it back in again, but only after the developers took The New York Times out of it. But as fun as it is to watch them dance, I can’t help but notice that The New York Times missed the opportunity right in front of Sr. VP Martin Nisenholtz’s eyes: the Pulse team is exactly the kind of talent that the company should be acquiring, not shunting. The Pulse founders made an app with a great consumer experience for media, did it in just a few weeks, managed to get the attention of the premier technology tastemaker in the world, Steve Jobs, and even made some money.